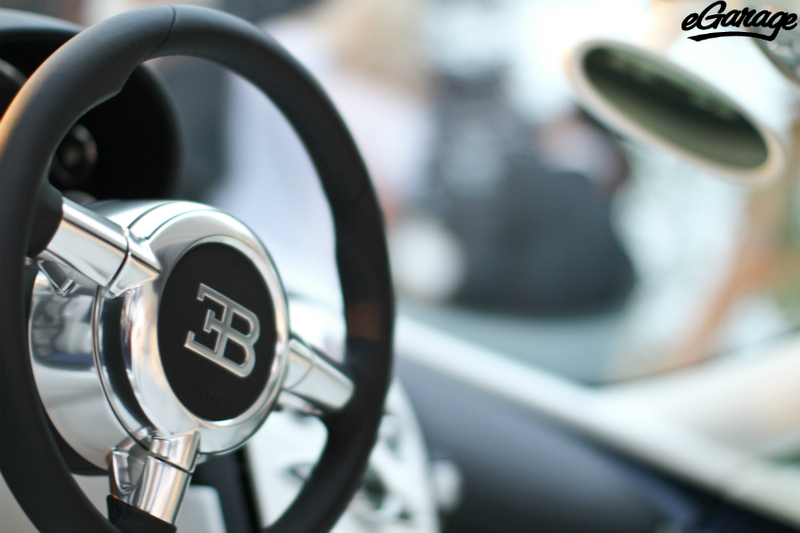 Bugatti hosted a private reveal of the Bugatti Grand Sport LOr Blanc for a handful of Bugatti Veyron owners during Pebble Beach week. 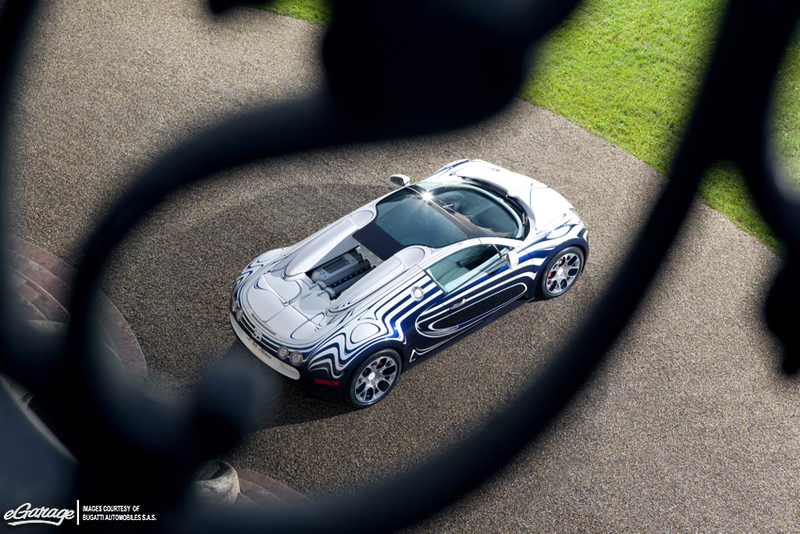 The event allowed those who didn’t attend the Quail showing of the LOr Blanc to hear from Bugatti executives and the German porcelain maker Königliche Porzellan-Manufaktur about the design of Bugatti’s recent art car, the LOr Blanc. 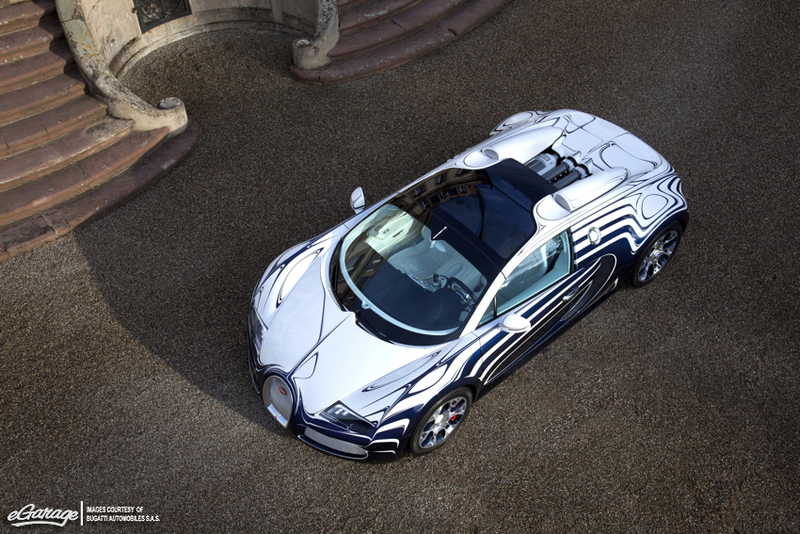 Bugatti developed a special painting process for the L’Or Blanc to ensure both colors flow into one of each other without the tinniest rupture in the surface. 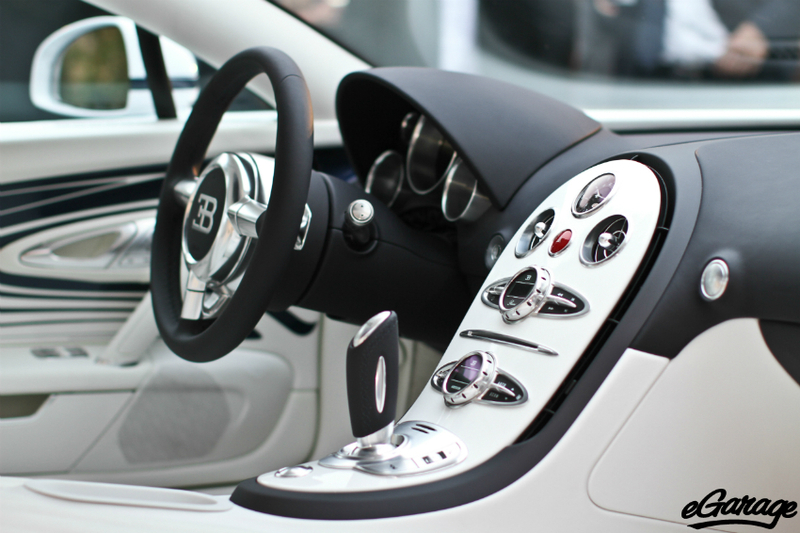 The Porcelain can be found on the wheel centers, fuel and oil filler caps, and the “EB” badge on the rear. The interior also features porcelain . The footwells have signed trim plates on opposite sides of the porcelain clad center-console. 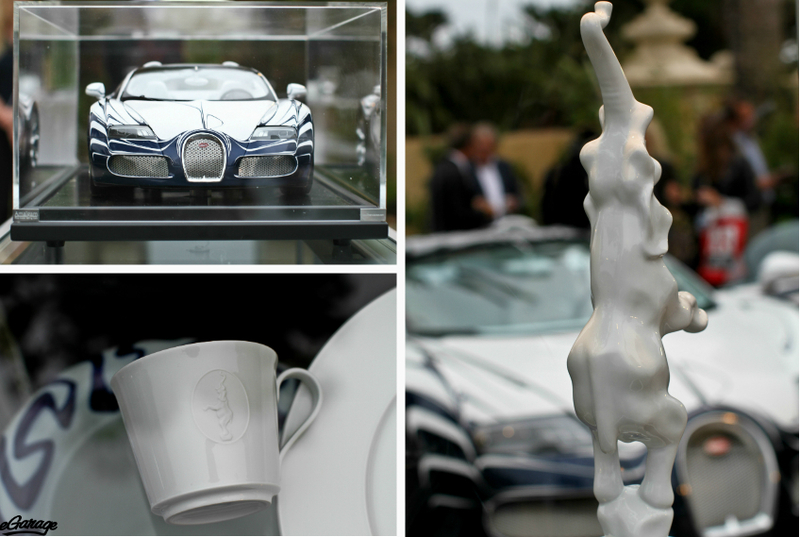 Also, the elephant that was a sculpture by Ettore Bugatti’s younger brother is inlayed between the seats. 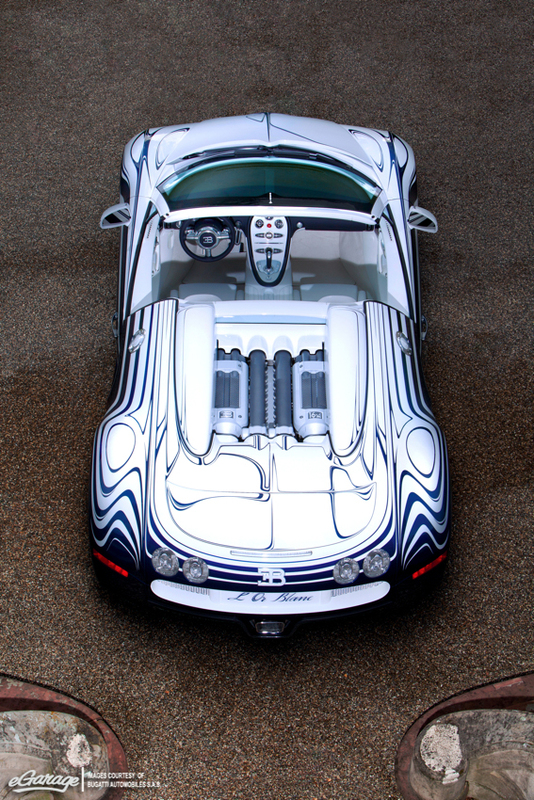 eGarage is all too familiar with the Bugatti Veyron Grand Sport and we all agree the idea of the art cars are rather awesome. Bugatti claims to be “in a time of transition,” with continued engineering and design for their upcoming concept, the 4-door Galiber. 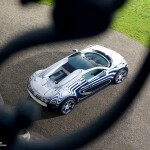 Bugatti also a says there is possibility for more art cars. 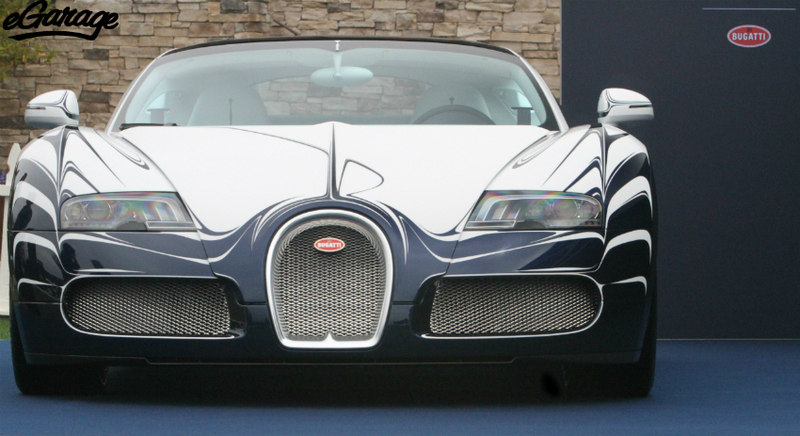 There are still 110 remaining Grand Sport’s that Bugatti intends to build. 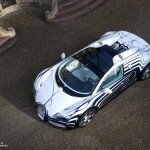 Is eGarage excited about future art cars from Bugatti? Yes, maybe we can convince them on an eGarage Bugatti SuperSport art car. Our favorite part of the evening was Ben and myself properly demonstrating how to wear your Bugatti Veyron Booties. Maybe we will see eGarage Booties in our eGarage Store that is scheduled to launch in September.